lovefashion | livelife: hey! i'm in the OC Register! my company (Kareo) participated in a charity bowling event for Elwyn, an organization focused on serving disabled and disadvantaged individuals. it was great just being a part of something that means a lot to so many people. who knew that the OC Register would be there to cover the event! 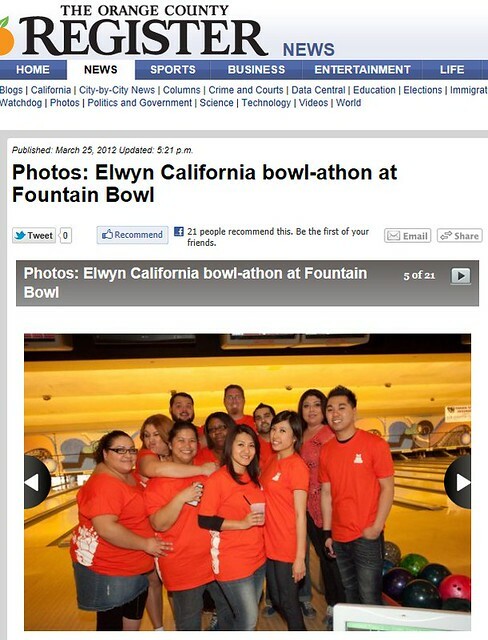 how cool is it that our team picture ended up in the news?! 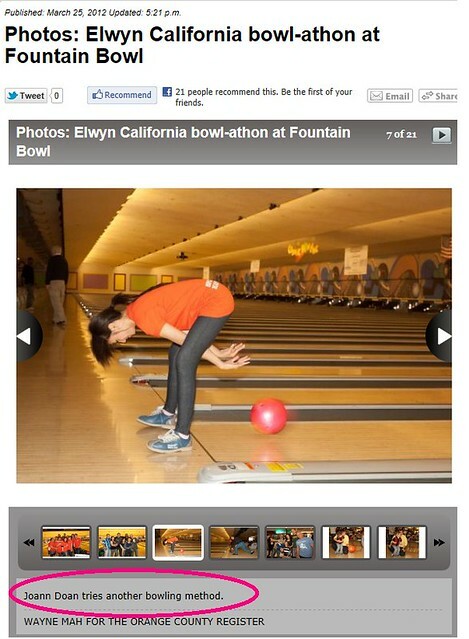 all in all it was for a great cause, i had a good time with my co-workers and somehow managed to find my way into the OC Register.. i guess upside-down or right-side up, i can't complain right? ?